Users who like their sound to be as crispy and especially professionals will go for an external sound card for a variety of reasons. The Creative Sound Blaster X-Fi XtremeMusic series are top-of-the-line sound cards. However, they seem to have an issue on Windows 10, as either the sound is distorted or there’s no sound at all. We tried to shed some light on this problem, so check our solutions below. For the majority of affected users, issues started after a major Windows 10 update. And it looks that some system changes made after the update broke the Creative SB X-Fi soundcard. The first step to try is running the built-in troubleshooter. This helped some users address both problems with sound quality or complete absence of the audio output from Creative SB. 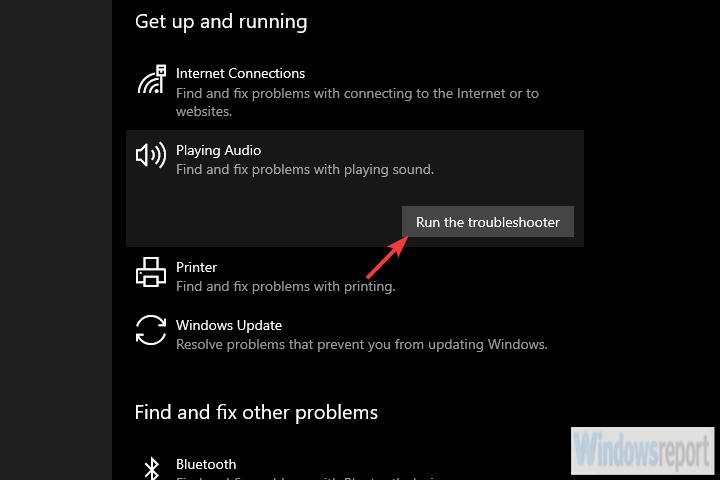 Expand the Playing Audio troubleshooter and click Run the troubleshooter. If the previous step didn’t help you get the sound back to normal, we suggest navigating to Device Manager and disabling the device. Once you reboot your PC, you can re-enable it again and, hopefully, the sound will get back. There seems to be a slight problem with certain external soundcards after system updates. This should deal with that. Expand the Sound, video and game controllers. 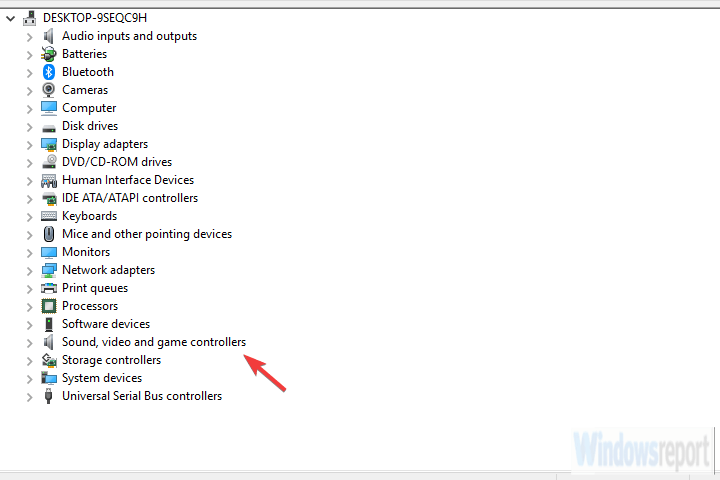 Right-click on SB X-Fi and choose Disable device from the contextual menu. Reboot your PC and re-enable the device. Moving on. The next applicable solution is to stick with system-provided drivers. The thing is, you can either reinstall them and the system will install drivers again or roll back to a previous version. One of the two options should work for you, so try them both and look for improvements or resolution. Right-click on SB X-Fi and choose Uninstall device. Reboot your PC and look for changes. 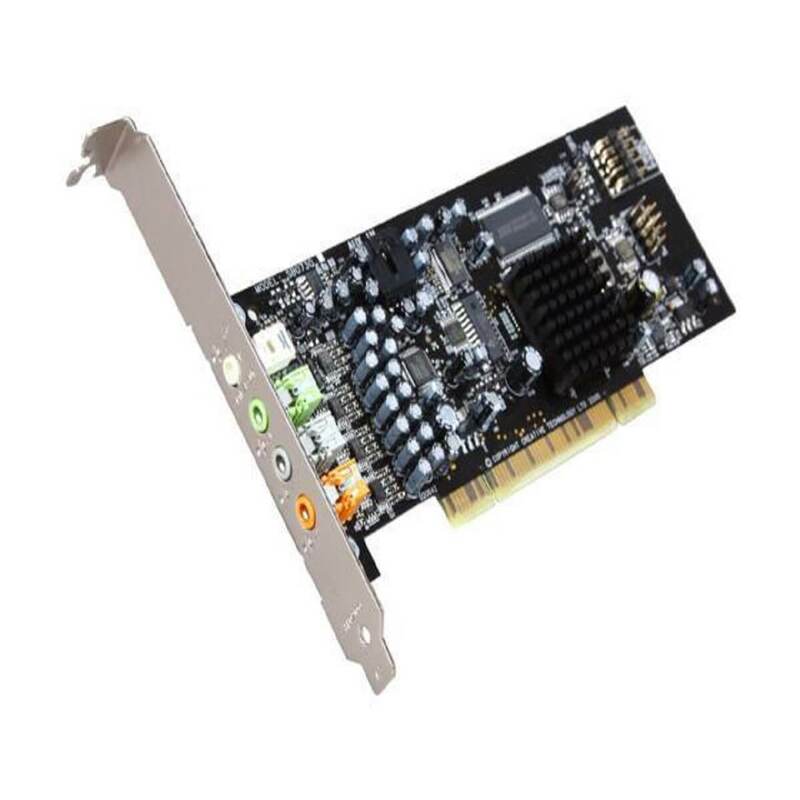 And, while there, you can do the same for an onboard sound card, if available. Those are usually Realtek and you can try reinstalling them, too. Another frequently mentioned solution is to change the default bitrate. Namely, it seems that the standard 16-bit bitrate doesn’t work well, but as soon as you change it to 24-bit Studio Quality, everything starts working. Even though we can’t say with certainty what exact bitrate will work for you, you can try multiple options until you find out which one works. Right-click on the Sound icon in the notification area and open Sounds. Right-click on your default device and open Properties. 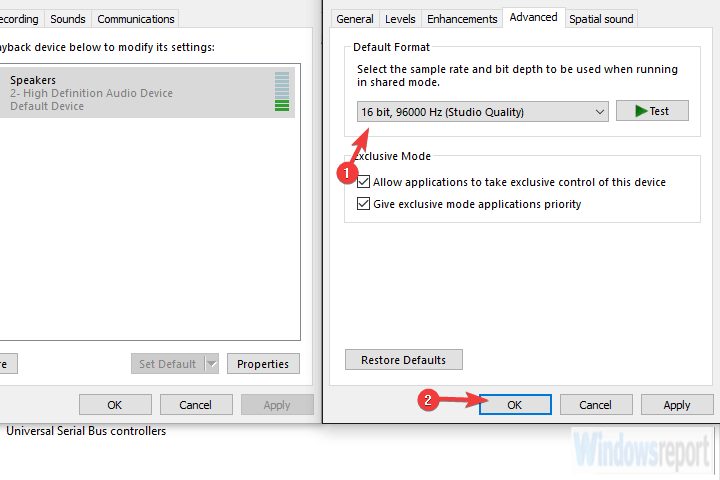 Under the Advanced tab and Default format, select 16bit 96000 Hz (Studio Quality) and confirm changes. Even though theoretically the onboard and Creative SB X-Fi should work together, we can’t be sure. Therefore, some users found a way to resolve the issue by disabling the onboard sound. This might or might not work, but we suggest giving it a go. If it doesn’t work, you can always enable it again and try something else. Right-click on the onboard sound device and disable it. Finally, if nothing worked, you can ditch all you have and install a fresh set of drivers and associated application. We can say that this is the last thing we could think of. The exception is, of course, rolling back to the previous Windows 10 version or just waiting for Microsoft/Creative deal with it. Delete all associated files from Program Files and AppData folders. Reboot your PC and wait until Windows installs drivers. Reboot your system and check for improvements or resolution. With that said, we can conclude this article. In case you have any questions or suggestions, be so good to share them with us in the comments section below.